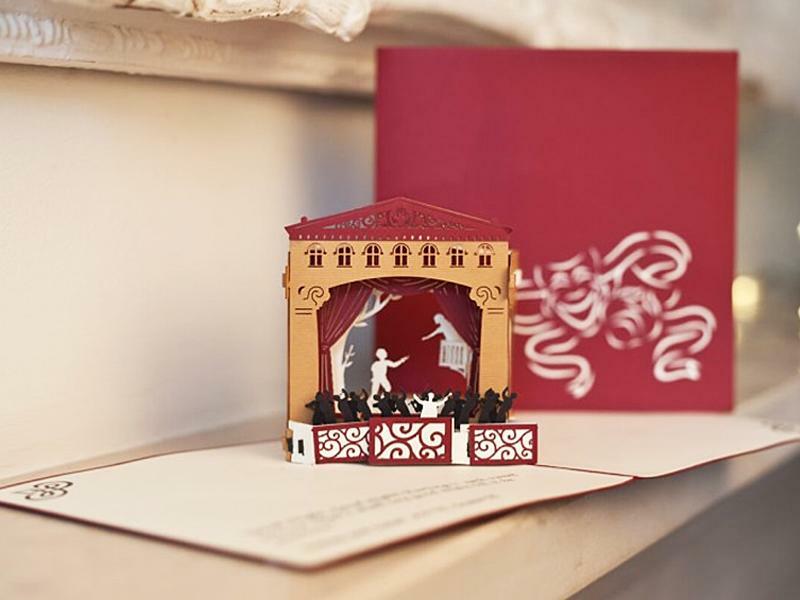 Inspired by a love of the bard, this handcrafted "Romeo and Juliet” pop up card can be used for a multitude of occasions – be it to commemorate a special occasion, to let someone know you are thinking of them, or as a special memento – this card will definitely bring a smile to your loved one’s face! A unique gift in itself, the card is made from quality FSC-certified paper, and is designed to provoke an amazing reaction from the recipient. 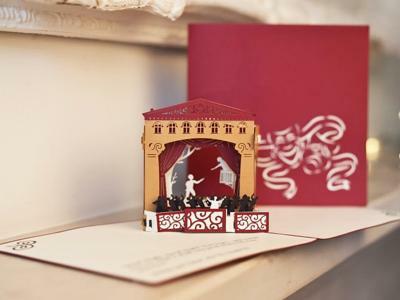 Inside, each piece is individually laser cut and slotted together by hand, before being anchored with hand-stitched thread into the card, allowing the Shakespearian drama to ‘come to life’ when the card is opened. Each card comes sealed, complete with an ivory envelope. The card is approximately 14.5cm by 14.5cm (l x w) when closed, and 14.5cm by 29cm by 9cm (l x w x h) when open.